Brave Rock is an actor best known for his role of “The Chief” in Wonder Woman (2017) starring Gal Gadot in the title role. He was born and raised at the foothills of Rocky Mountains of southern Alberta, Canada on the Kainai (Blood) Reserve. 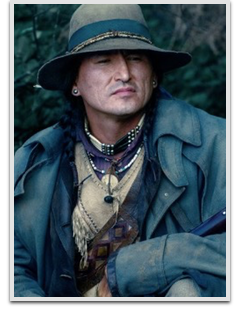 Stunt Skills acquired as a performer in “Buffalo Bills Wild West Show” at Euro-Disney in Paris France led to other opportunities in film and television including setting up boot camp for Native American Stunt performers featured in the Oscar award winning film “The Revenant”.